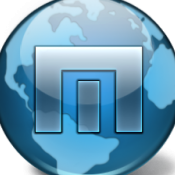 I have used it before without issues but today I tried it and it froze my Maxthon. I thought it was this particular version on my Windows 7 PC. I then tried it on Windows XP with the same Maxthon version and it froze it also. Then a few hours later I tried again on Win 7 and this time it didn't freeze it. But on XP is still frezes. Haven't been able to figure out the pattern. Will post back when / if I do. Thanks for replies. I have tried to search the forum about this but found nothing, which is surprising since it's so obvious and ugly. Basically when I try to us the Snap tool to capture a region of the page, it causes the Maxthon to freeze and I have to kill it via Task Manager. The reasiest way to reproduce is to click on the arrow next to the Snap tool icon and select "Snap region". Then select a region and click the red cross to cancel. Or click Copy. Or press ESC before you actually select a region. It should freeze the browser. Can anyone confirm ? I have read all your lines about the security of maxthon. And I would like you to recommend me which version of maxthon is similar, with the same features even "resource sniffer" In your experience, please! Try adding the No Coin filter subscription to Adblock Plus. Here https://adblockplus.org/subscriptions. Got 2 more later, while again connected to the proxy. Can't tell though if this was just a coincidence or if it would have happened without the proxy as well. After that, I did not get more popups either with or without the proxy. In all cases the popups warned of addresses under mathon.com , never on any other website. Another interesting things is that I use Maxthon on a second, separate PC as well. So I then used Maxthon on that second PC to visit the Maxthon website / forum. On that PC I never activated a proxy, but I got the same 2 popups there! Unfortunately I didn't screenshot the URL it was accessing, but I think it was another safeurl.maxthon.com and forum.maxhton.com. Maxthon on that PC does sync with my Maxthon clould account so it did sync all favorites and also the proxy list which I entered on my main PC. But again, I did NOT activate the proxy on the second PC (option "Disable proxy" was always selected). So then why the NOD32 popup on the second PC as well ? Got this warning by my ESET NOD32 Antivirus today. A threat (JS/CoinMiner.BK) was found when Maxthon tried to access a website (config.sync.macthon.com). http://config.sync.maxthon.com/mxconfig/v1/up_blk/32175639/8896D2C0C088BA40B98399F8F33884B4_10.138.203.153?begin=0&end=34189 What does it mean ? Can it be something on my end ? I WAS using a public http proxy at the time I got this message. I don't think I clicked anything specific before it popped up. It may have appeared when I opened a new tab page and the tiles loaded up. I did get it once again after disconnecting from a proxy (the second popup was the same but the URL was shorter: http://config.sync.maxthon.com/mxconfig/v1/up_blk/32175639/ ) After the two popups, I got no more. But I did get an instance of a grayed out symbol appearing on the right side of the address bar (next to the proxy selector) on the new tab page. The symbol said something like "the page is trying to load a script". I did not allow it. Could it be something to do with the proxy / traffic through the proxy or is it the sync.maxthon.com page itself ?